2-19-14 – They’re There But Won’t Bite! I fished with a few guys from out of state today. 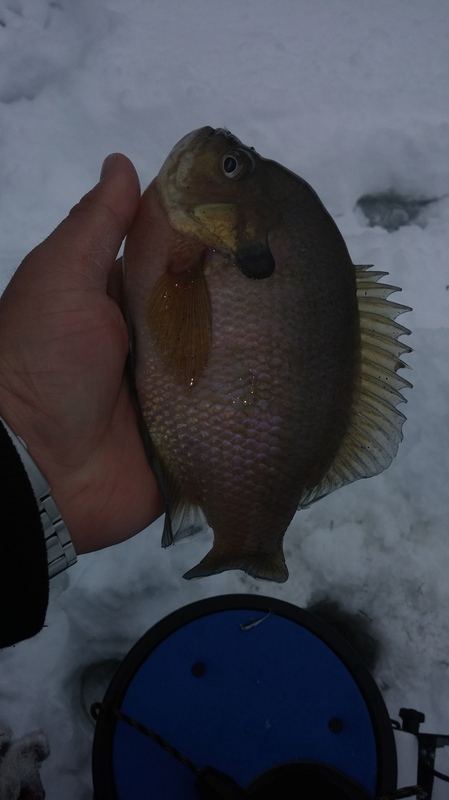 They wanted to put some nice fish on the ice so when I got out of work I met up with them. It was a nice morning but the weather reports said a storm would be rolling in around lunch time. For the first few hours we were all walking around scratching our heads. While there was a ton of fish, they didn’t seem to want to bite. 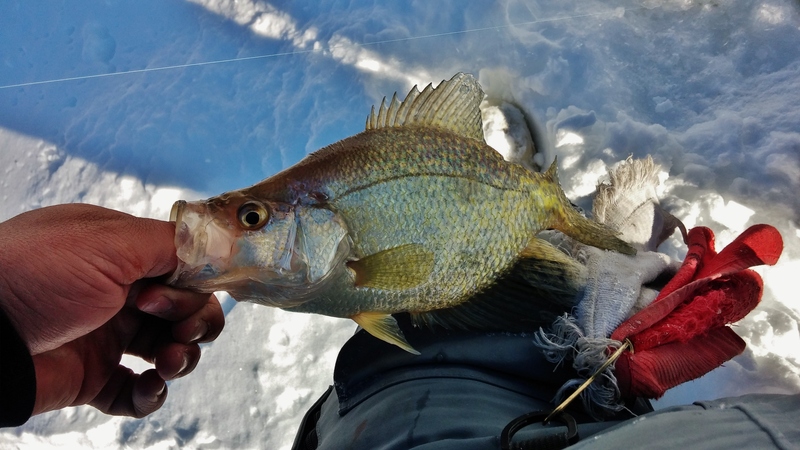 Looking around with the camera, crappie and big gills were everywhere and in numbers. The key to the day seemed to be sitting in a hole with fish long knowing that after enough looked at your bait, one would bite. Outside of my trip to Minnesota earlier this year, this was the first time that I actually had to cycle through my jig box and try just about everything. While I can fish on a variety of jig and plastic combinations, it seemed that an all orange rocker with a bubblegum jamei from Maki Plastics worked best.